It’s midnight. Lying in bed. Lights are out. I can’t sleep. 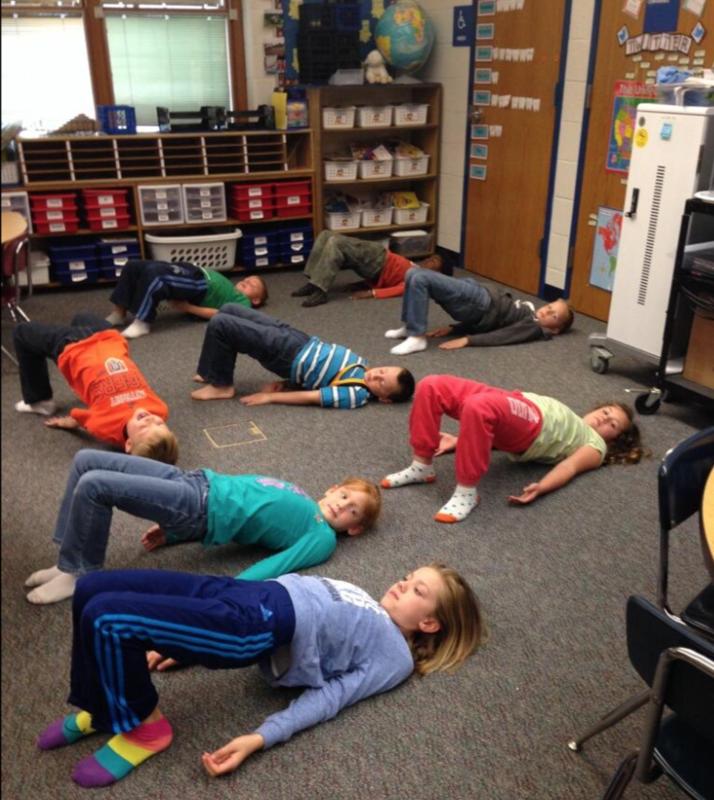 My brain is revving, can’t stop thinking — how could I start teaching yoga to kids? I’m a kindergarten teacher. I’m a yogi. 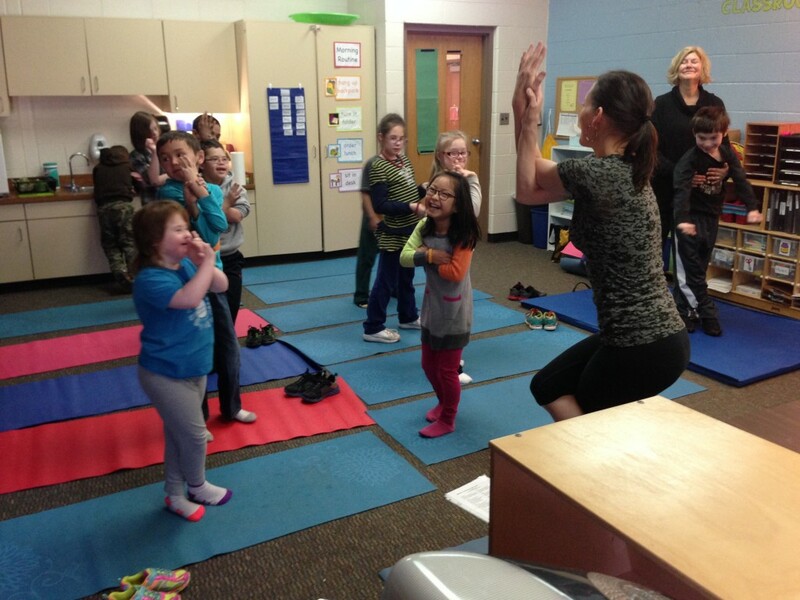 I can teach yoga to kids. 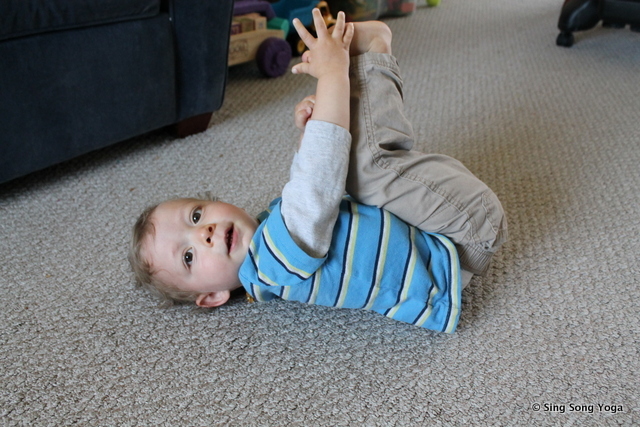 I want my 3-year-old to learn about yoga while she’s small… etc., etc., etc. Suddenly, I think – SONGS! I start humming a tune. I turn on the lamp, hoping not to wake my husband, sit up — more like jump up! Grab my note book and start writing… until dawn. 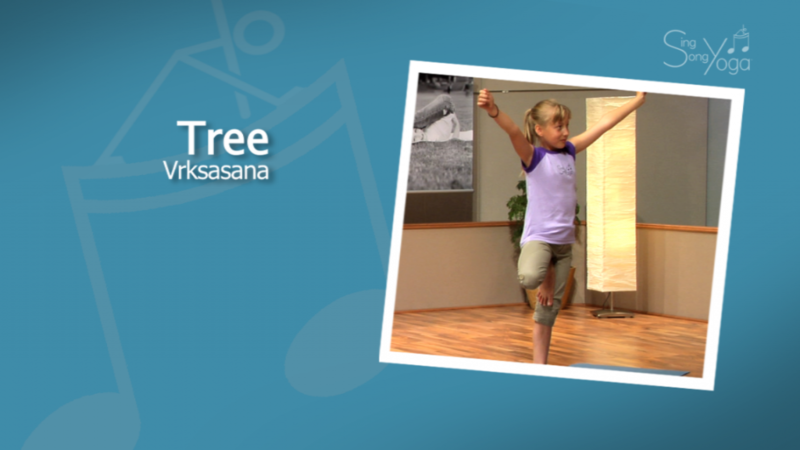 These became the first versions of the first songs that would eventually become a series of songs in which the lyrics instruct children how to get into the yoga poses, now known as award-winning, international Sing Song Yoga® for kids. Fast forward 8 years. I’m sitting at my computer staring at a blank page pondering what would be the most important information to teach at a Sing Song Yoga teacher training? What do I have in my brain that I now use intuitively to teach this program? How do I package it for teacher trainees in a way that would allow others to provide a similar experience for kids throughout the world? 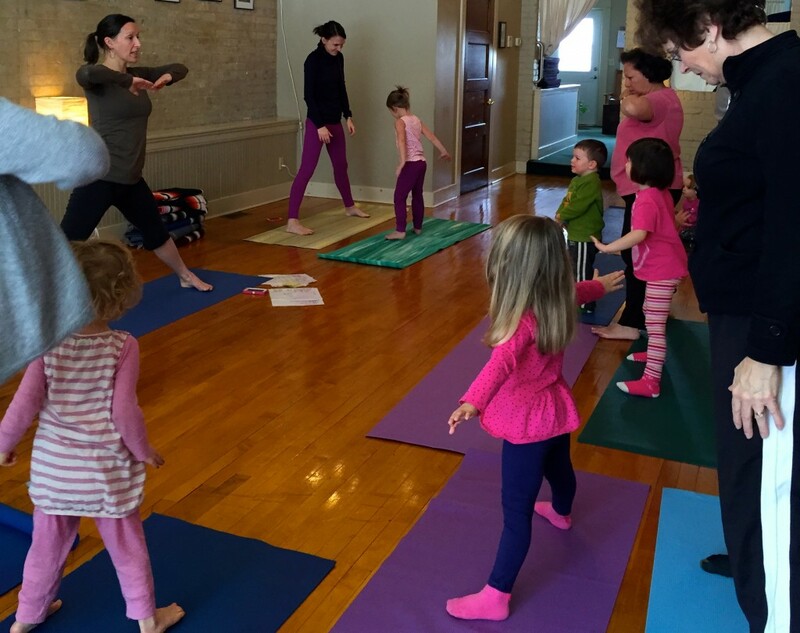 What are the key components of Sing Song Yoga that can be replicated across the globe to provide families with the magical environment that makes this program a powerful experience for kids and families? providing a welcoming environment for families. I’ve studied child development, education, brain research, yoga, parenting styles, and family structures. I have a unique natural connection with children, being able to see through their eyes, to feel their little hearts, to intuitively know what allows them to open up and what makes them retract. How in the world can I pull all of this together to assist another teacher to most fully understand children through my eyes and through my heart. Can I really do that? Can I teach another person my perspective that makes Sing Song Yoga what it is? 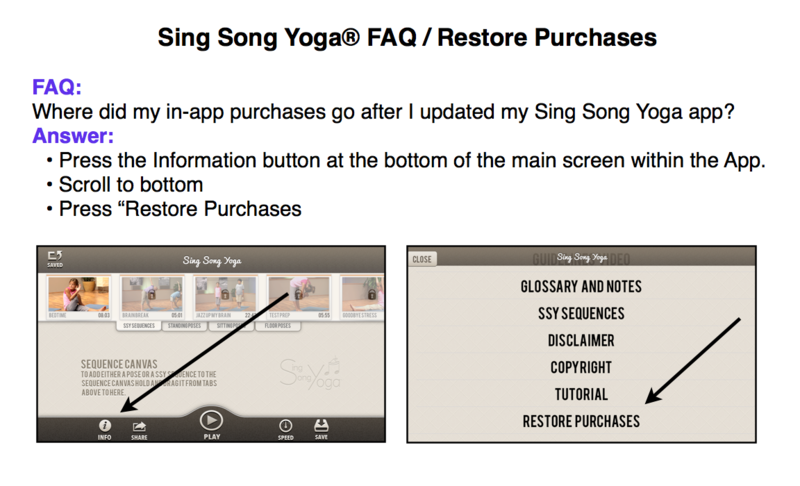 The songs, the poses, and the activities are lovely, fun and unique in and of themselves and some can even be found in our DVD and app, but they are only a part of what makes the live Sing Song Yoga class what it is. It’s the learning environment created by the teacher within which those pieces perfectly fit. For the most part, our society tends to teach children in a controlling structure. In a “well-behaved vs. naughty” paradigm, in which adults see it as their responsibility to control children (and their parents) to behave in THE way that is most fitting and most proper to succeed in our society. The overarching premise that you need to learn to “behave this way” and know “these things” and you will do well. Sameness. Conformity. To the contrary, Sing Song Yoga seeks to provide experiences to empower children and families to reach for who they are and shine in their own unique ways. To explore and feel a freedom in our environment. One in which parents are freed from the underlying feeling of needing to demonstrate that they are good parents by the way their child “behaves,” or by the skill-level their child achieves. An environment in which children feel a sense of freedom and excitement of new challenge and calm, without feeling the pressure to measure up to some prescribed expectation of behavior and result. For the last year and a half, I have dedicated 90% of my work time to pulling together, adapting and tweaking my information to best vividly draw a picture for teacher trainees to experience my world, my vision, my weekly environment I provide for children. 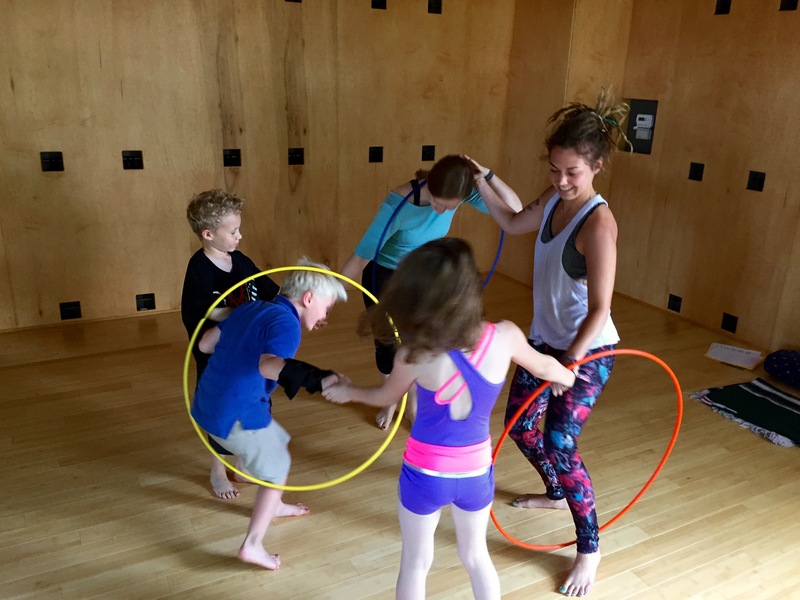 For these trainees I attempt with all that I am to open my heart to give a glimpse of my deep understanding and passion for what helps empower children within our Sing Song Yoga environment for the brief amount of time we have them in our class. I’m not seeking to change the whole world. But it is my desire, within the context of my teacher training, to allow trainees who are well suited for this program, to fully absorb my heart which holds the space for this open learning environment. I was asked if I have policies in place for parents during the live classes because of the infamous “helicopter parents.” I so appreciate this question because it led me to explain my feelings on parents’ freedom with an open door policy. 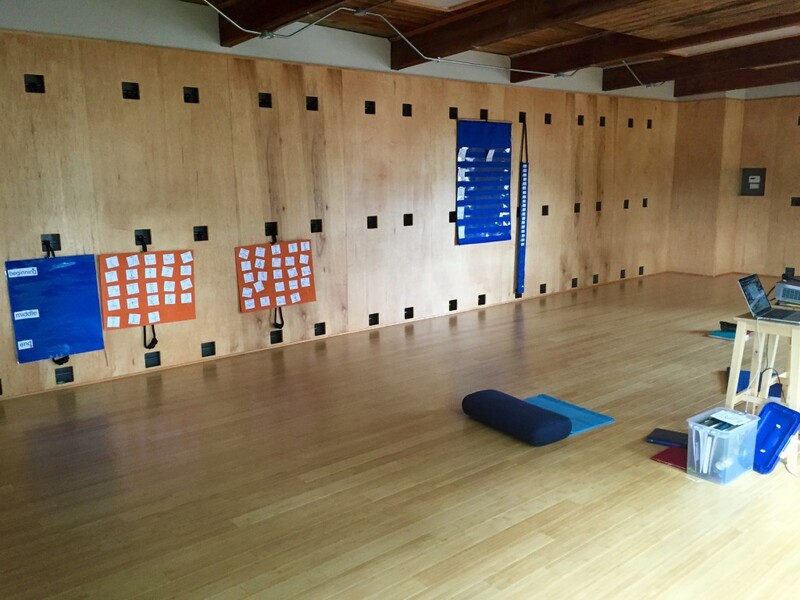 From the very first Sing Song Yoga class, as an extension of who I am, I removed the physical foldable wall dividers to be sure that parents felt welcome in our class – either as an observer or as a participant. Making policies that would limit the experiences of all families, because of a few parents, would go against the open environment I seek to provide. Most every parent has their child’s best interest at heart. Truly. And some might actually stretch their thinking from the interactions they observe and/or experience in our class – maybe not all, but some. For most families, parents being present in a class enriches the experience, if only providing a platform for later parent/child discussions. In addition, if parents have the opportunity to observe a child-led environment, they might be more likely not only to listen to their child a little more closely that day, but also, just maybe, hold a newer standard for the environment within the other programs for which they sign their kids up. The much anticipated weekend arrives. 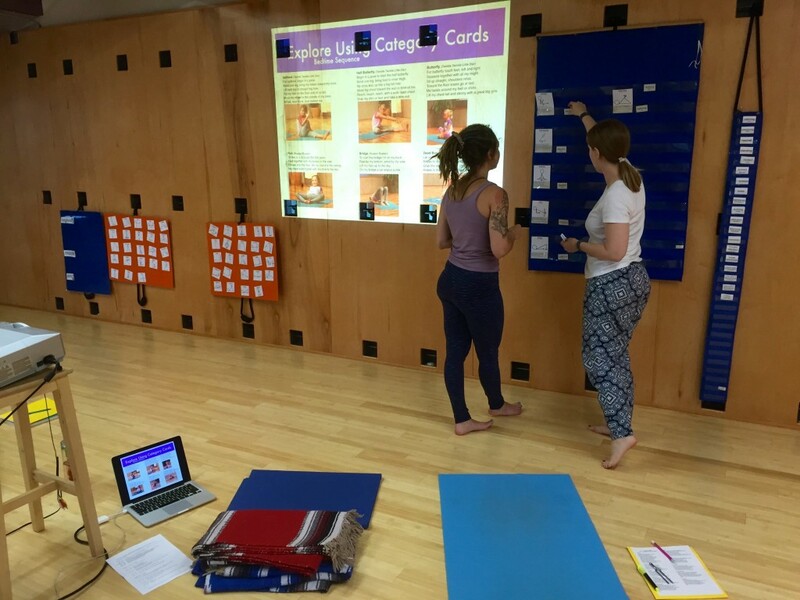 I’m sitting in the beautiful Yoga Studio in Grand Rapids, Michigan gazing appreciatively at the yoga props each immaculately organized in its proper place, and the materials I have just hung up on the walls. 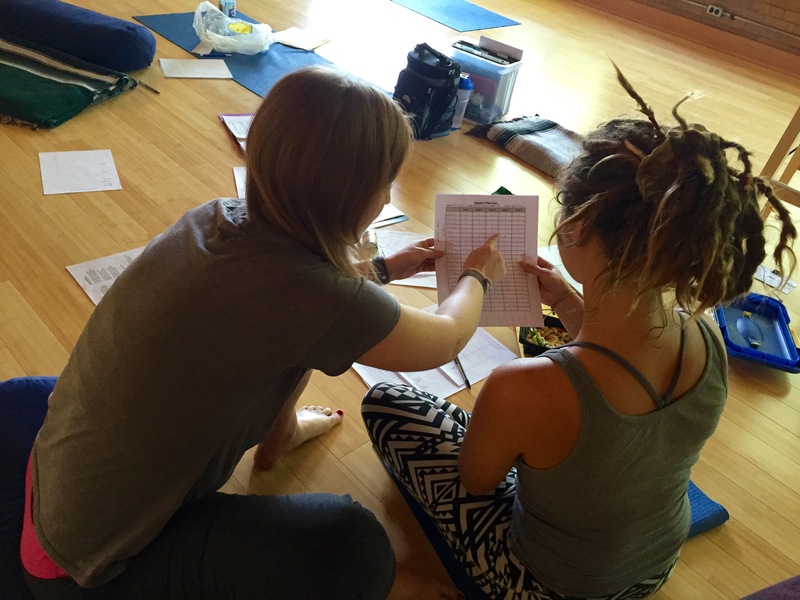 The very first trainees will arrive in a few moments to begin the process of learning to be a Sing Song Yoga teacher. 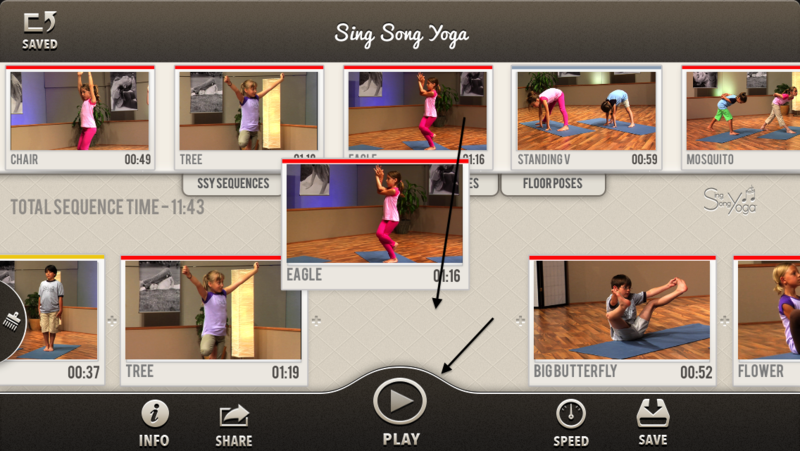 The final minutes of our very first Sing Song Yoga Teacher Training are upon us. It’s the end of the last of 3 days of intense study, laughter, creation and idea sharing. The creative, smart, empowering women who took the plunge with me were giving me the feedback that provided me with a big fat “yes!” to my questions. Yes, I can invite others into my world of children and families. 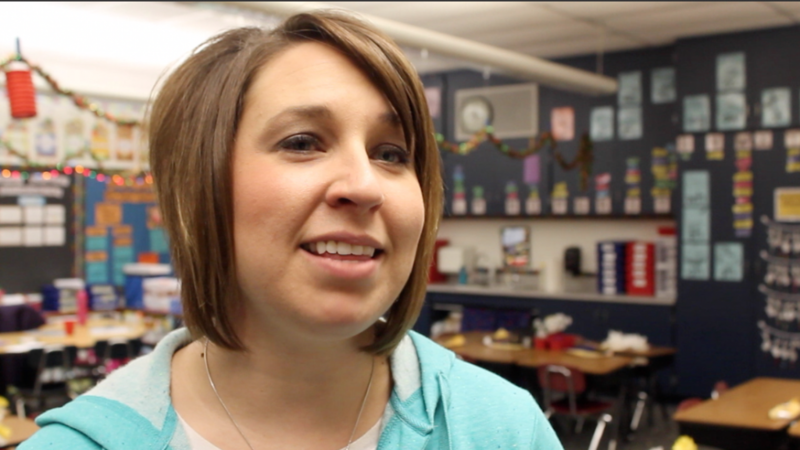 Yes, others will begin to see my vision, my standard of truly child-centered learning environments. Not just the fancy buzz words — but the real thing — felt fully by the teacher, exuded through their hearts and into the hearts of the families who join their class. And finally, yes, other teacher trainees will find value in the full program – not just learning the songs and the poses, but the true essence of Sing Song Yoga. My heart overflows with appreciation for these two women, each with their own unique powerful strengths, giving me the necessary feedback, for my ability to share my heart and vision, and for feeling a big “Yes” for moving forward with the highest of expectations for future teachers in this program across the nation and around the globe. 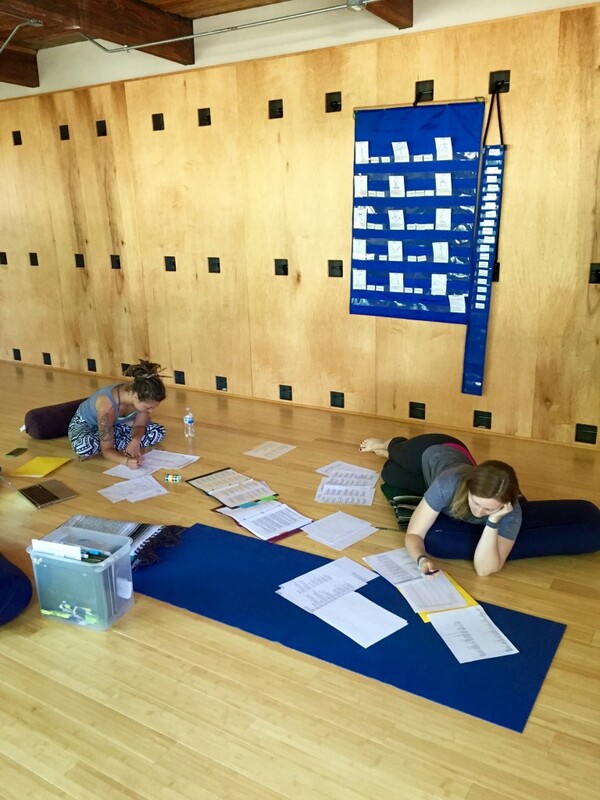 If you happen to share this vision of a child-centered, explorative, open learning environment, and have an interest in taking the Sing Song Yoga Teacher Training this November in Grand Rapids, Michigan, check out our Teacher Training page. It’s not an easy training. 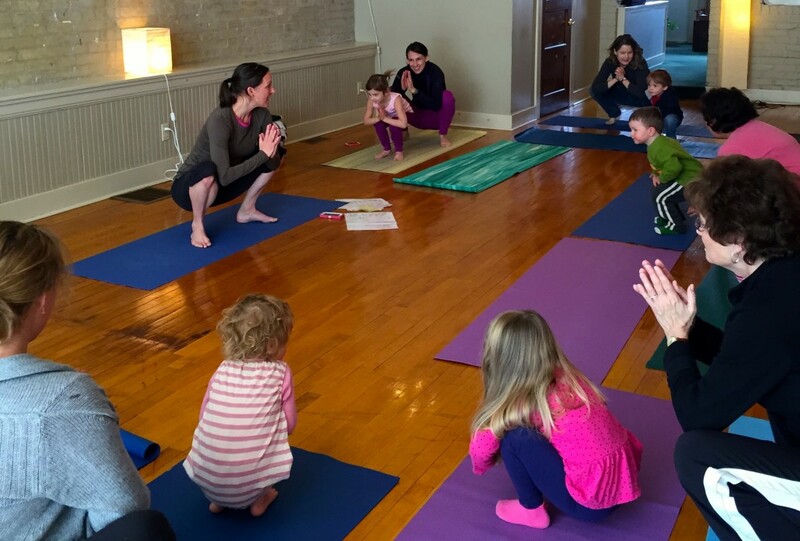 Work is involved — but meaningful work that will give you the tools to provide a rich, child-centered environment, in which yoga, songs and laughter naturally fit. This entry was posted	on Thursday, October 20th, 2016. Posted in Sing Song Yoga Teacher Training. * This post is the 6th within a kids yoga app series #SSYappSeries… (here are #1, #2, #3, #4 and #5 ). In my life I absolutely gobble up any tools that allow me to effortlessly customize its components to fully meet MY PeRsoNal NeeDs!! — Especially when I only have to think through the customization once and then save my work for later use. 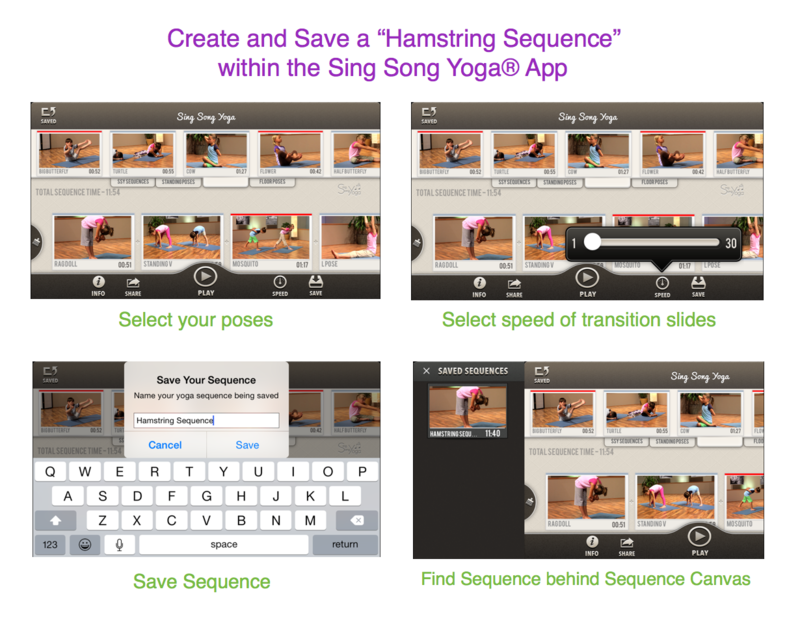 As a school teacher wanting to squeeze yoga into the school day, this was one of my main focuses when designing the Sing Song Yoga® kids yoga app. For those users who want to either build sequences from scratch or change the preprogrammed sequences to better fit their needs, the SAVE feature is a dream come true! Whether its “Ms. Zoerhof’s Morning Sequence” for a first grade classroom or Lia’s “Before Bed Sequence,” the time has come in which we can seamlessly and perfectly align our daily routines with our technology!! 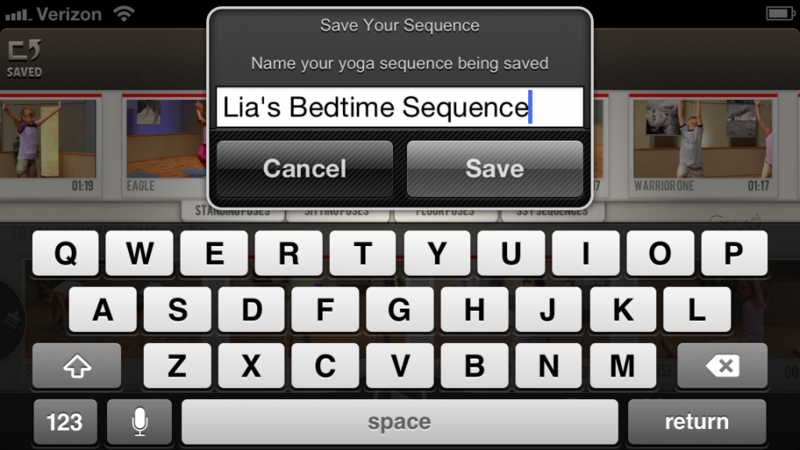 Thank you to our brilliant app developers for making this wishful feature a reality!! 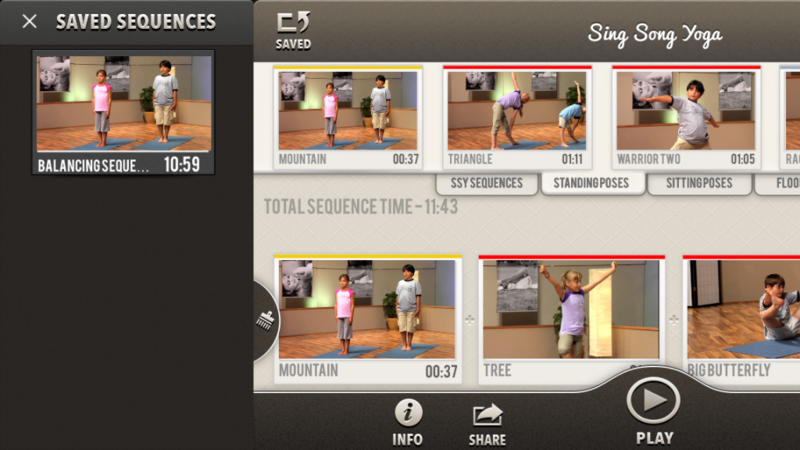 This link will review how simply the app works, including creating and changing sequences that you’d like to save. Please let us know ANY questions or comments you might have on Facebook or Twitter, using #SSYappSeries or #SSYkidQuestions. We look forward to hearing from you!! Happy Yoga!! This entry was posted	on Thursday, September 17th, 2015. 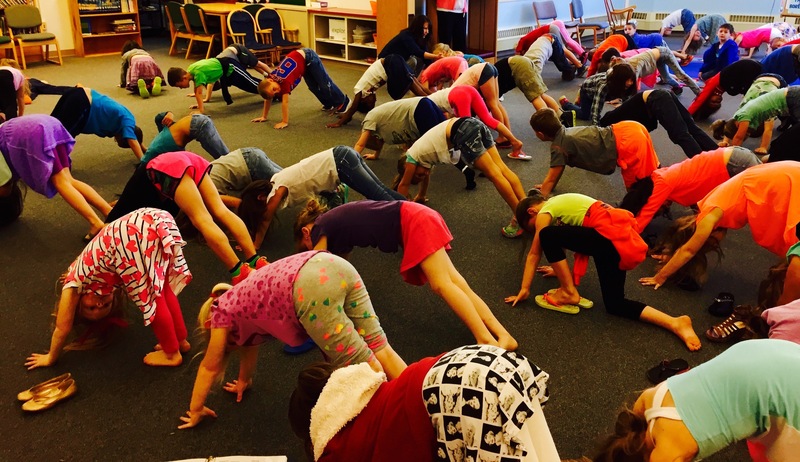 Posted in Education, Kids Yoga at Home, Parenting, Sing Song Yoga, Uncategorized, Yoga in Schools. * This post is the 4th within a kids yoga app series #SSYappSeries… (here are #1, #2, and #3. Kids often learn best from kids! 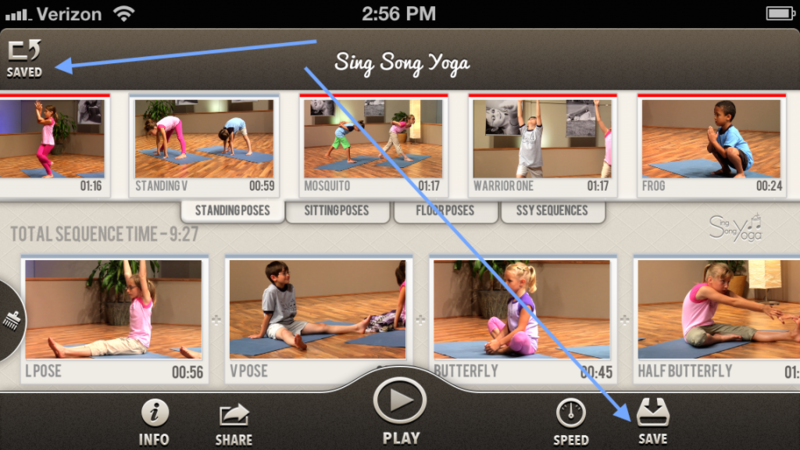 That’s why our Sing Song Yoga Kids share their wisdom about doing yoga in this Guidelines Video found under the Information button within the Sing Song Yoga kids yoga app and on the DVD. 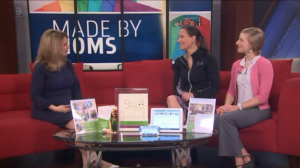 We include the video here to encourage you to check out the app and DVD. 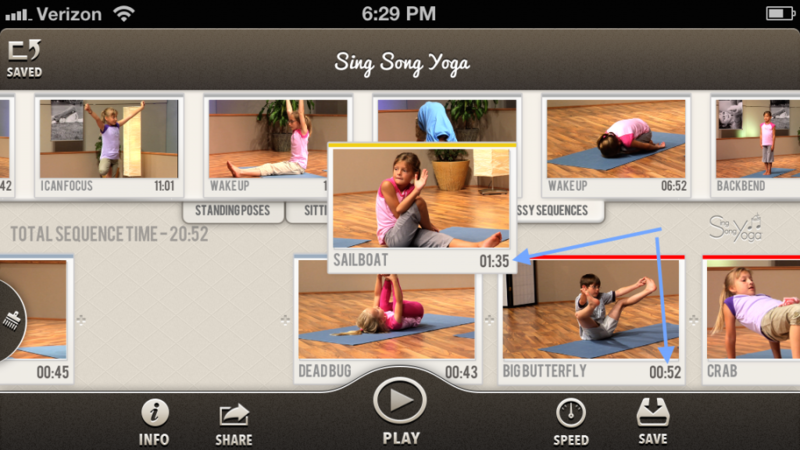 And if you already use our program, be sure to share the video with your young yogis at home or in school. Please let us know any questions you might have on Facebook or Twitter, using #SSYappSeries or #SSYkidQuestions. We look forward to hearing from you!! Happy Yoga!! This entry was posted	on Thursday, September 10th, 2015. 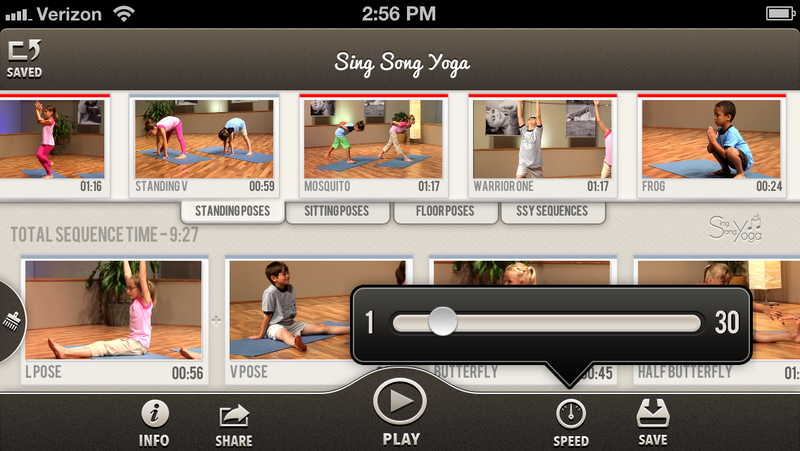 Posted in Kids Yoga at Home, Sing Song Yoga, Yoga in Schools. So, I try out a new app! Love it! Make a purchase to enjoy its full functionality! Update my phone! Argh! Lost my purchases!! That’s no fun! And frankly, it’s frustrating! There are other useful topics under the Info button that are worth checking out within this kids yoga app. Please let us know any questions you might have on Facebook or Twitter, using #SSYappSeries or #SSYkidQuestion. We look forward to hearing from you!! Happy Yoga!! 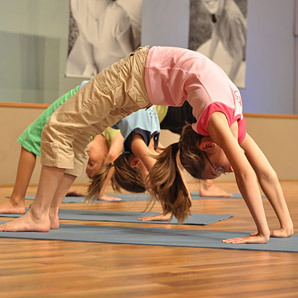 Top 5 Kids’ Yoga Tips for Greater Flexibility Yoga tips to help stretch you and your body to greater depths. This entry was posted	on Thursday, September 3rd, 2015.